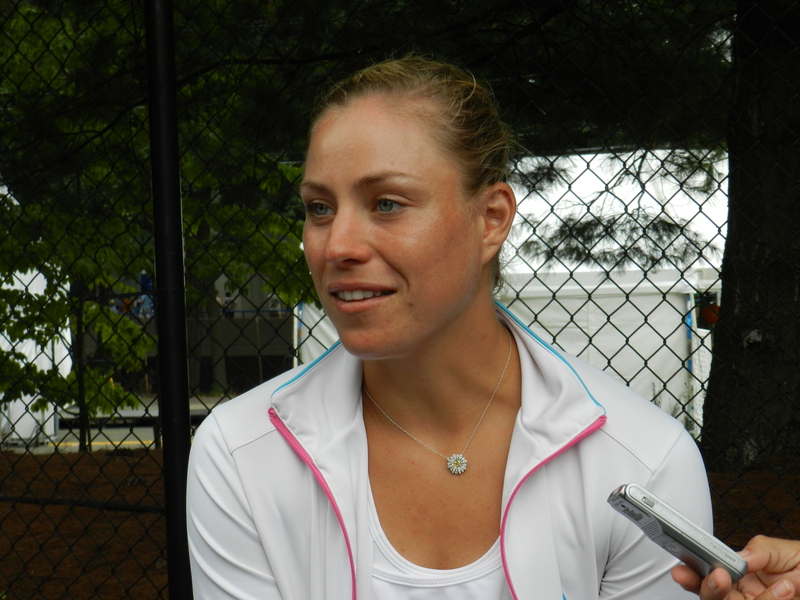 The press had plenty of questions for Wimbledon Finalist Sabine Lisicki at New Haven Open this week. Luckily, they weren’t all about Wimbledon Champion Marion Bartoli’s retirement. Is your life any different now that you made the Wimbledon final? It is different. It’s been quite a change when you go home and all of a sudden everybody on the streets knows who you are. It is nice, because it shows that the hard work pays off. Alright, real quick. Marion’s retirement? I’ve known Marion for a very long time. I think she thought a lot about it. I think she will be happy. She fulfilled her dream. She wanted to win Wimbledon for her entire life and I am happy for her. Wrist Injury during or after Wimbledon? It was during Wimbledon, but I think I handled it well. At a Grand Slam, you give it everything you have no matter what’s happening. And that’s what I did. I needed to take care of it. I needed a bit more time than I wanted (to heal the wrist) but that’s the way it is. I played my first final in a Grand Slam, so that’s good. On whether she’s tried New Haven’s famous “Apizza”: No, and I probably won’t because I’m gluten-free. What did it feel like walking out on Centre Court at Wimbledon? Awesome feeling. I loved every second that I could step out at Wimbledon for every match and especially for the final. I think at Wimbledon the final is even more special than the other grand slams, starting with the walk on court. Everything just changes. All of a sudden you walk on court with flowers, someone else carries your bag, all those little things make a difference. Just that tournament with lots of tradition which I love about. It’s just amazing and I think I’ll learn a lot from that experience knowing how it is. Did it ease the pain of the loss after hearing Marion had retired recently? Didn’t change anything. I lost to Marion in the final giving every thing I had. She’s had that experience before and she knew what to expect going into the Wimbledon final. I think that’s a positive for her. She played unbelievable and I wasn’t on top of my game. But the way to the finals, I couldn’t have a much tougher draw than I had, beating Serena, beating Radwanska and the other three girls as well who played great beforehand on grass. It really was a tough road to the final, but it made me a better player as well for the future. It gives you a huge amount of confidence and it shows that the hard work is paying off. I had to go through tough patches in the past with injuries. Just to get all of that back and to get the support of the crowd, it was the best feeling in the world. Look out, US Open. The charming Lisicki has a taste for big show courts. I hear playing on Arthur Ashe is pretty sweet, too. Defending New Haven Open Petra Kvitova is headed to a fourth straight WTA quarterfinals appearance if she beats American Alison Riske this afternoon on Stadium Court. The press caught up with her on Monday about her chances at a repeat. On New Haven: I feel like its more relaxed here. It’s a pretty familiar tournament for me. 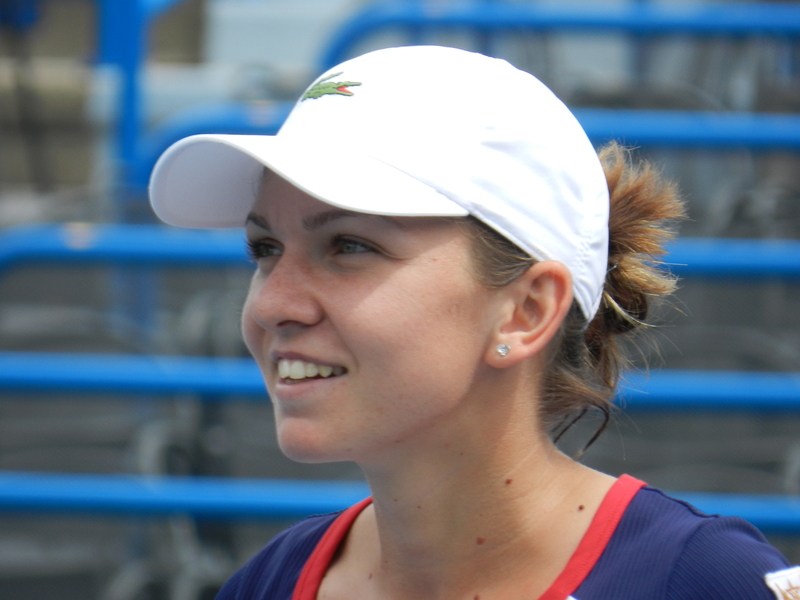 The 2011 Wimbledon champion is feeling good about her chances at the US Open, having made the quarters of the last three tournaments she entered and having won it all here in New Haven last year. Even so, the humidity challenges her. She not resting on her New Haven laurels, knowing that competition lurks around every corner. In 2012, Sara Errani made a racquet change and had a great year. Many predicted she would struggle to keep her top 10 status with a need to defend so many rankings points. The doubters were wrong. Errani has met her 2013 goals already. She shared some thoughts with the press at the New Haven Open on Monday. She was asked about Bartoli’s retirement and the pain Bartoli cited in her decision. She brought up the Italian term “sufrimiento” to describe the physical toll that the game takes on players. Good friend Roberta Vinci seems to pop up in Sara’s singles draw all the time. Is that frustrating for the Italian doubles duo? Sara won’t have to face Roberta Vinci in New Haven, as her Italian counterpart fell to Carla Suarez Navarro in the first round. Errani has an excellent chance to advance to the quarters at the tournament, as she plays Ekaterina Makarova this afternoon. Monica Puig had a vocal crowd of Puerto Rican supporters in the stands today as she dispatched French phenom Caroline Garcia 6-2, 6-4 to advance to the main draw at the New Haven Open. The self-styled “Boricuan-style” player, Puig is in the unusual position of having had to qualify for a premier level tournament in which she knocked off its top seed, Sara Errani, at Wimbledon. Alison Riske also impressed, simply routine-ing the off-form Yanina Wickmayer 6-4, 6-2. Wickmayer continues to disappoint, while Riske continues to march forward toward the US Open. Riske, after dominating the grass earlier in the summer, seems to have found her form on the hard courts at a very fortuitous time. She needed three sets to win in each of the first two qualifying rounds, but there was little drama in today’s final. Stefanie Voegele, Karin Knapp, Ayumi Morita and Anna Schmiedlova also advanced to first round play. The New Haven qualies must be the strangest thing I witness as a fan. Unlike other tournaments, where the players all neatly fit into the 100-300 range, there are routinely a bevy of top 50 players and top 500 players squaring off for a spot in the draw. It all has to do with the US Open, of course. You either play here or you play US Open qualifiers. So it is that high-ranked players like Yanina Wickmayer, who have already been granted a spot in the 128 woman field at Flushing Meadows but must scrap through three tough matches to make the field of 32 at New Haven. The end result for fans is unusually big-name qualifying matches.